Levoquin (generic Levaquin) and my COPD. On the 27 th of jan 2012 I was prescribed Levoquin by my Pulminary Dr to combat the bronchitis I was having symptoms with. Since I had come off of a Z pak a few weeks before this an antibiotic sub he felt would work. When I get bronchitis and don't act immediately on it I end up with a COPD EXASERBATION AND PMEUMONIA and a long stay in the hospital. I started taking it on Friday and by Sun Jan 29 2012 I could not make it through a target store without sitting from time to time because my knees, hips, lower back, and shoulders were in so much pain. It got progressively worse as the week went by and I started to think it was a side effect from the levoquin not mixing well with all the other drugs I take. I never experienced anything like this before so it had to be the addition to the med routine. This past weekend Feb 5-5 and today my knees are swollen to twice their size and my shoulders are so bad I can barely pick up a glass. I can't sleep as there no comfort zone. I called my internist this morning and went to see him. He says it's an ALLERGIC REACTION to the drug and prescribed me naproxen to take down the inflammation however by the look on his face I felt like he thinks this is serious. He said he himself doesn't prescribe it and he has had 2 patients with it: one of them affecting his Achilles Heel and he recovered but I don't think I'll be that lucky. are suffering the common side effects of Levaquin Tendonitis. And as you can attest to, they're bad. It's not Tendonitis at all. It just gets the levoquin tendonitis moniker because tendon pain is one of the most common side effects. The weakness, the muscle pain, that's primarily due to Levaquin's mechanism that depletes your body of Magnesium. I'm curious. Is your bronchitis that you've been getting antibiotics for a bacterial infection? Let's hope so, because if it's viral or fungal, then there's NO reason for you to be getting antibiotics. Make sure that your doctor(s) tested to see if it was bacterial in nature. 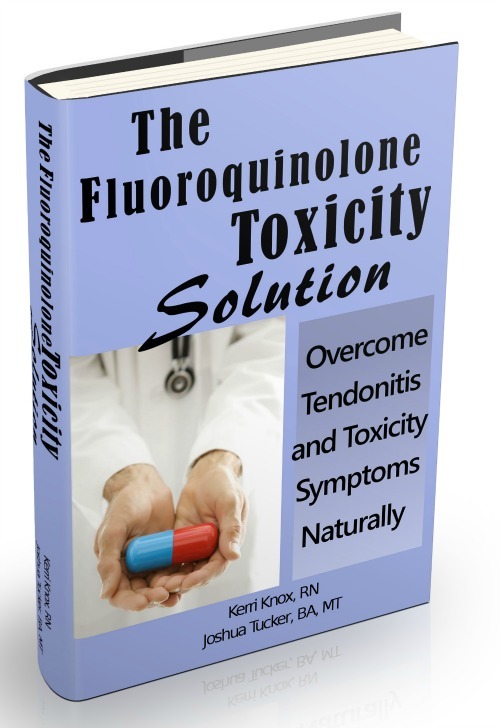 It's definitely time for you to learn more about the class of antibiotics called 'fluroquinolones'. These include Levofloxacin, Levoquin, Levaquin, Cipro, Avelox, etc. Bad news, all of them.